← Birthday swap, my turn! 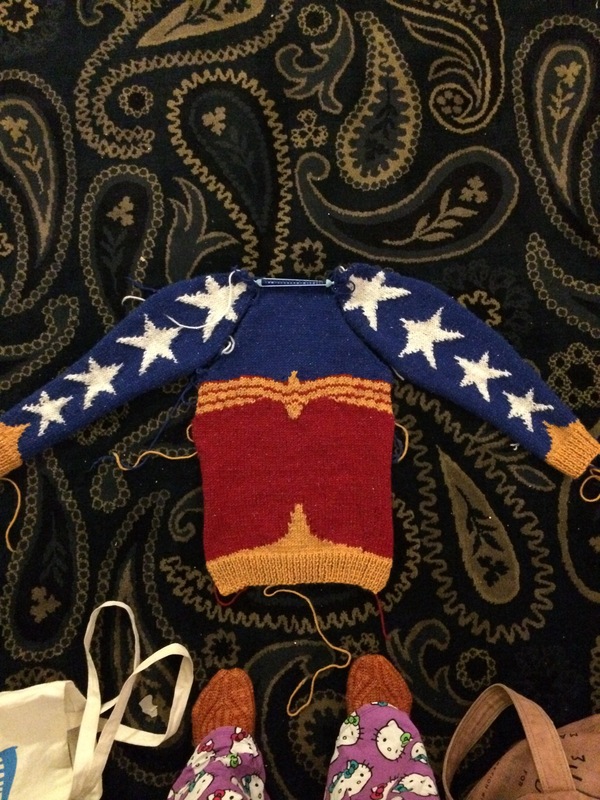 Last night I finished the front of the Wonder Woman sweater! Here it is with the sleeves. Keep in mind that its curling under because it’s stockinette, not because it’s so narrow! The back is coming along fine as well. The color work on the back will be easier, thank goodness! Wowza! That’s a sweater ready to take on the world!